Snapchat acquired Bitstrips, the startup that created Bitmoji, back in March, but it wasn’t until recently that the these two mega-popular apps collided. Even though we saw it coming, Snapchat’s full-on integration of Bitmoji was an instant success. People on Twitter called the Snapchat-Bitmoji union “a match made in heaven” and “the moment we’ve all been waiting for.” It seemed like a win-win for both services. 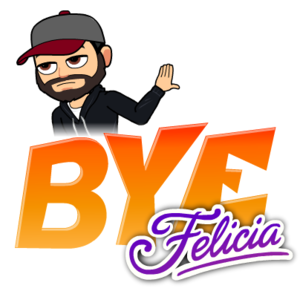 Previously, Bitmoji users could only send their creations as standalone stickers on messaging apps. The Snapchat integration allowed Bitmoji to interact with real-world environments by being overlaid in photos and video. For Snapchat users, adding Bitmoji to your Snaps is a new way to (literally) insert yourself without having to send a selfie. The integration also makes Snapchat the only social platform for Bitmoji users. If your friends also have linked their Bitmoji avatar to their Snapchat account, you can unlock special “Friendmojis” featuring your two characters. But Snapchat and Bitmoji underestimated how popular their newfound union would be. The integration was so popular that it crashed the Snapchat servers for several hours—no small feat considering the app is used to serving 10 billion video views every day without a glitch. According to an unnamed source at Snapchat, the outage took the company by surprise. More users rushed to use Snapchat after the Bitmoji integration was announced than when the Memories feature was launched earlier this summer. For me, the outage lasted all day and it affected both loading of Bitmoji on the Snapchat app and the Bitmoji iOS keyboard app. We’re aware that Snapchatters are experiencing @Bitmoji linking issues. We’re working to resolve. Thanks for your patience! 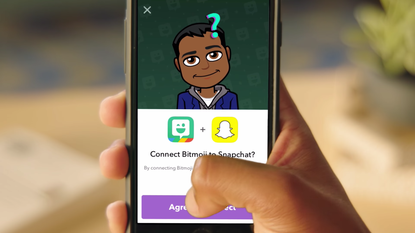 Why this matters: The popularity of the Bitmoji integration proves that Bitstrips was a smart acquisition for Snapchat. And at $100 million, it almost seems like a steal. Furthermore, the integration sheds some light as to how Snapchat could integrate other content and third-party services into its ecosystem. But instead of becoming a platform for other apps, Snapchat seems to be going the full ownership route. For example, in 2014 Snapchat launched Snapcash as a way for users to send payments, instead of integrating Venmo (although Snapcash relies on Square to actually handle the back-end transactions). In 2015, it launched official Lenses, instead of incorporating a third-party selfie lens store. That same year, Snapchat asked only a few publishers to join Discover, instead of opening it up as a free-for-all Newsstand-like product. To this day, Snapchat continues to oversee and control the content from its Discover partners. That strategy seemed to be at play again with the acquisition and integration of Bitmoji. Considering Snapchat is very hands-on when it comes to new features and products appearing on its ecosystem, we’re probably never going to see Snapchat launching an app store for third-party services, so that users can pick and choose which selfie lenses and cartoon avatars to use in their Snaps. And maybe that’s a good thing. After all, it took only one popular integration to crash the Snapchat servers. 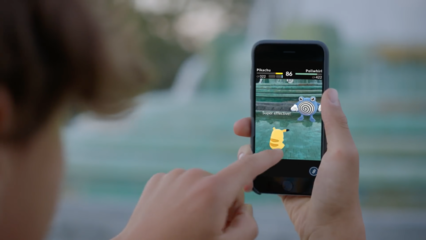 Can you imagine what would happen if Snapchat wanted to bring aboard Pokémon Go? To use Bitmoji in Snapchat, you first have to create your character with the Bitmoji app. Once you’re happy with your avatar, head to your Snapchat settings and tap “Bitmoji.” On this page, you will be able to link or edit your Bitmoji.